CHICAGO (WLS) -- It's the dawn of a new era. When the clock strikes 10:31 a.m., you'll still be able to get an Egg McMuffin. 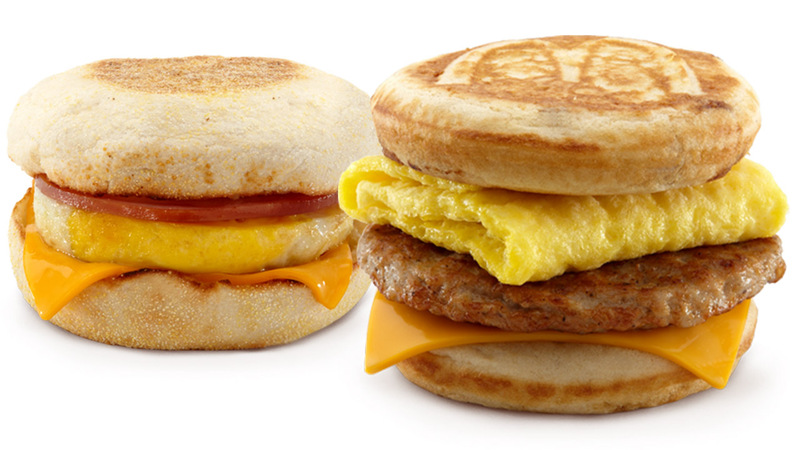 McDonald's is launching its all-day breakfast menu. Starting Tuesday, racing to make the fast-food giant's breakfast deadline will be a thing of the past. Hotcakes and Sausage, Egg McMuffins and Bacon, Egg and Cheese Biscuits are just some of the items that are now available all day at McDonald's. It's a move by the Oak Brook-based company to try to boost sagging sales. The chain began testing the extended breakfast menu in March. While the fast food chain is rolling out its all-day breakfast menu nationwide today, but that doesn't mean you'll be able to get everything off the breakfast menu. Unlike some of its competitors, like Sonic and Jack-in-the-Box, McDonald's will only offer a limited breakfast menu after hours. 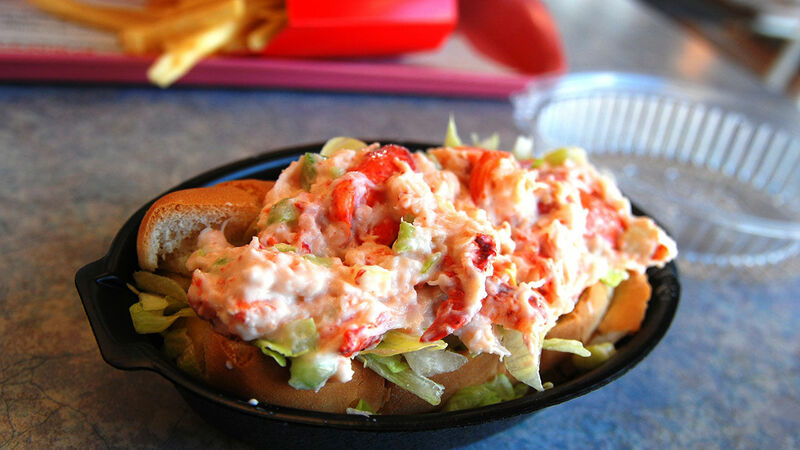 What's more -- that menu will vary at different restaurants. "Depending on the local market, All Day Breakfast will have a limited menu that focuses on either McMuffin or Biscuit items," the fine print on McDonald's website reads. "The two menu options offer a very limited number of breakfast items- and there will only be one or the other available 'based on customer preference.'" 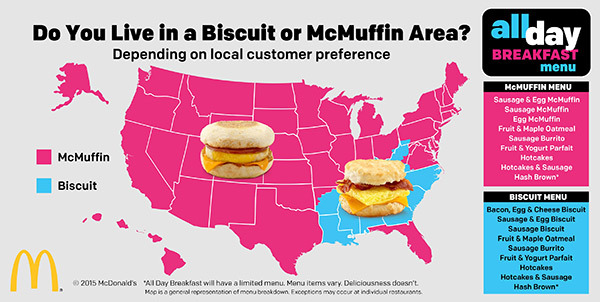 McDonald's says the decision only to offer biscuits at some restaurants and McMuffin's at others is made at the local level based on customer preference. It also says it's possible the menu could change over time.